The High Road Design Studio was founded in 2013 and is one such firm with cannabis-focused clientele. Owner and designer Megan Stone was inspired by design trends of boutique bakeries and cupcake shops when she custom designed this concentrate bar in the former tire shop space. 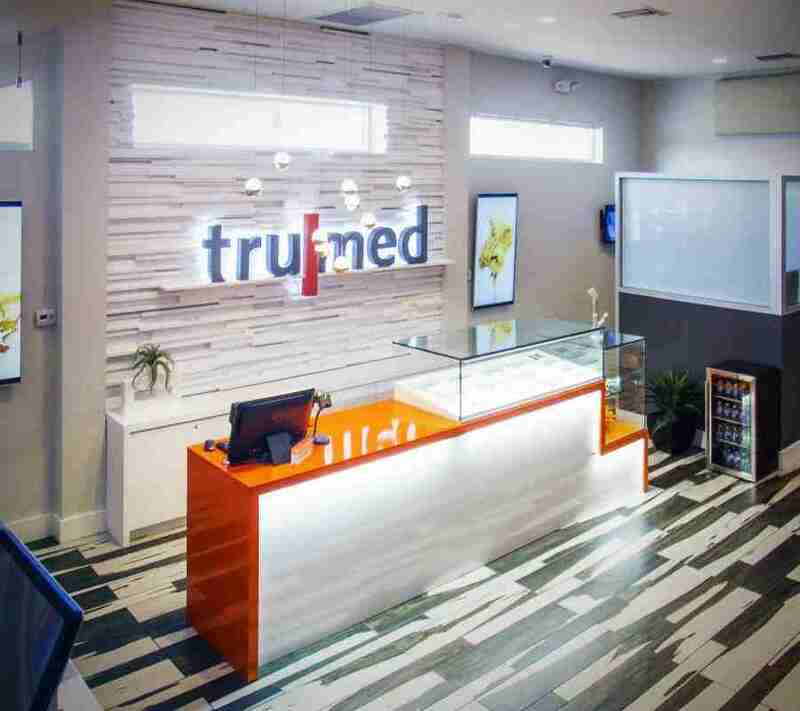 Using Tru|Med’s clean, modern, design aesthetic as a starting point, Stone installed a jaw-dropping showcase and backdrop.